Sony / Columbia / Marvel / Did I Mention Sony? Venom is kind of exhausting. You won’t require vast knowledge of Spider-Man or Venom symbiote lore upon entry, but instead the baffling filmmaking strategies of media entertainment “empire” that is Sony. Without reading into its missed connections to Spider-Man, or producers begging to get it involved in the Marvel Cinematic Universe, Venom is emblematic of Sony’s signature style in these dark times of factory-line manufactured filmmaking; it’s sterile, micromanaged, disorienting, out of touch, and factory sealed with a big bland package. The screenwriting in a film like this feels like a bot was fed movie scripts to then spit a new one back out based on what it learned. The dialogue sounds like it’s written by an alien, and the editing an accidental hack job by one of their headphone manufacturing lines. That’s not to say they haven’t distributed plenty of quality films, but for every Baby Driver or The Social Network they release, there’s a disastrous The Emoji Movie, Pixels or The Dark Tower to swiftly follow. Despite everything Sony Pictures has been through, from an international hack scandal, to dud after dud of false start franchises, this is the hill they (namely, Avi Arad) have been so desperate to die on for so long. As everyone has said in every other review, this should have been made ten years ago. There’s all kinds of jokes to make about that. Mine involve some super dead on arrival Vince Vaughn movies. Sony has tried time and time again to get this film made, ever since before Sam Raimi’s Spider-Man 3. Had Venom released in 2008 off the heels of that film, this may have worked. But Sci-Fi and superhero genre films have come a long way in ten years, and the film’s own structure, pacing and editing has more tonal tug-o-war between light and dark than Tom Hardy does portraying Eddie Brock and Venom at odds. 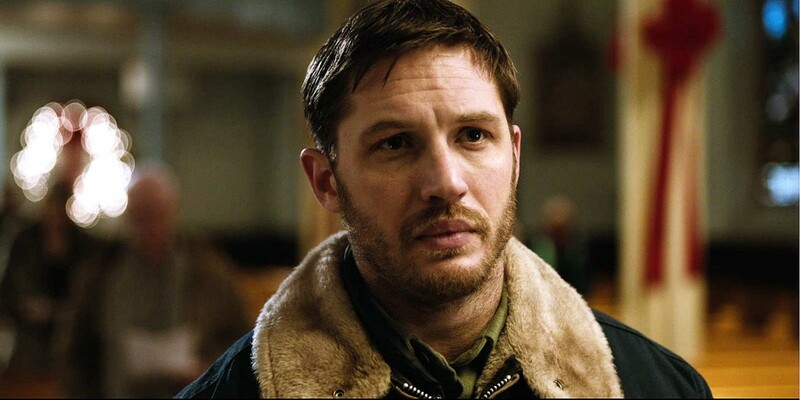 At least the two characters gel together into a cohesive pair somewhere in the film, no doubt thanks to Hardy’s performance and being versed in experimental conversations with himself on screen (Something he has a knack for as evidenced in films like Legend and Locke). The movie’s first act is an exposition blender, attempting to set up the origin of the Symbiotes, and loosely characterizing Eddie Brock’s motivation as a hard truth journalist vlogger. He’s a wannabe do-gooder who can be sympathetic but is self destructive enough to ruin a relationship with a wasted talent like Michelle Williams. This relationship is blown as he tries to uncover the very clear murdering of people at the Life Foundation, where Riz Ahmed performs an uncanny impersonation of past co-star Jake Gyllenhaal in Nightcrawler. At his Not-At-All-Tesla science company where homeless people are being slaughtered for the hunger of science, Jenny Slate with a vague foreign accent has a conscience and enlists the aid of Brock, to gather evidence and expose the inhumane crimes, resulting in Brock becoming infected with the titular goo. The movie’s serious sci-fi tone comes across as overwritten and over edited in the first hour (in this 2 hour movie) leading up to the reveal of the alien Venom itself, but once he bites his first victim is where the movie generates any sense of intrigue. Hardy’s portrayal of Brock and Venom as an Odd Couple offshoot brings the only levity to this otherwise robotic production. It’s a shame Hardy’s involvement and sense of humor couldn’t have informed this story more, as it’s clear this has elements where it could have succeeded, and unfortunately for some fans of comic book films out there, the honest truth is those elements are as an absurd black comedy. While jarring in the trailer with the now internet famous “Turd in the wind” monologue, these moments where Brock has to keep the Symbiote under control, thus creating Venom as an anti-hero, are at least a little bit fun. Those scenes will definitely make for a decent supercut with a Linkin Park title card in 480p on YouTube in a few months. This is nowhere near as bad as the nothing of a film that was Slenderman, but you can tell they were made by the same studio, and that’s criminal enough to the artists, performers and technical filmmaking capable from the people involved that could have been showcased here. I hope you’re happy, Sony. You got what you wanted, and nobody cares. Next ArticleSurvivor: David vs. Goliath 37x02 Review: "The Chicken Has Flown the Coop"